As you may have guessed from the title, I removed some recipes from the blog. I gave a brief explanation of why I did this in a recent recipe post, but felt that this is an important enough topic that deserved its own post. When I was writing The DIY Protein Bars Cookbook and The Naughty or Nice Cookbook, I decided to include a handful of popular blog recipes into each book. I worked hard at retesting, updating, and improving the recipes specifically for the cookbooks. Out of the 488 recipes on Desserts With Benefits, I transferred just 49 from blog ➡️ books. On the select few recipe posts where the recipes have been removed, I started receiving a number of comments from annoyed readers. I’ve been asked repeatedly in the comments section, “Where is the recipe?” Some people ask nicely and respectfully, and some others, um, not so much. I provide hundreds (that’s not an exaggeration, I have hundreds) of recipes here at Desserts With Benefits… free of charge. Well, free of charge for you, not free of charge for me. Blogging is my full-time job. If I did everything for free, Desserts With Benefits would cease to exist (read why in Part III). 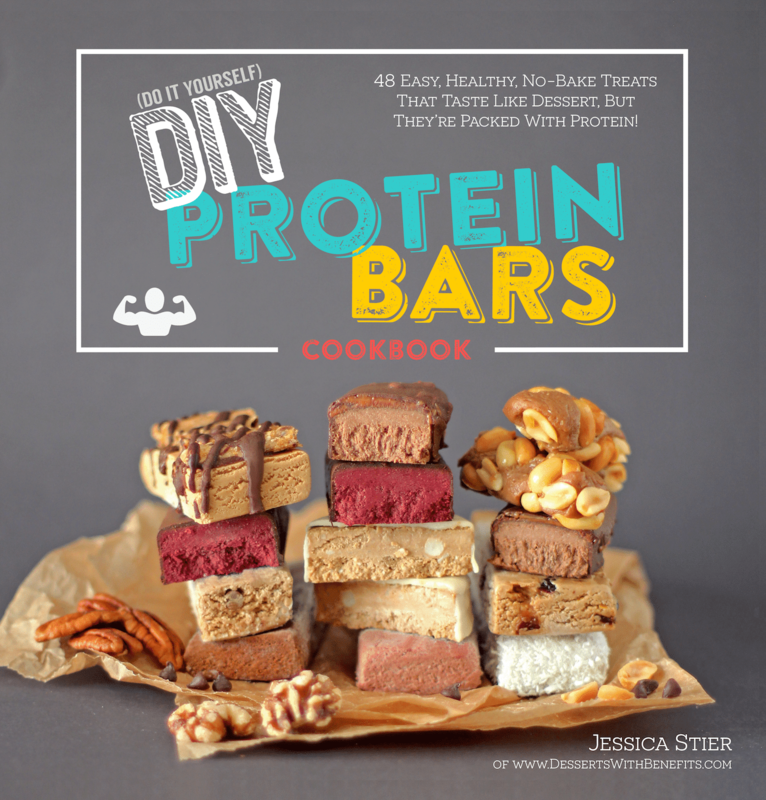 The DIY Protein Bars Cookbook averages out to just 52¢ per recipe. 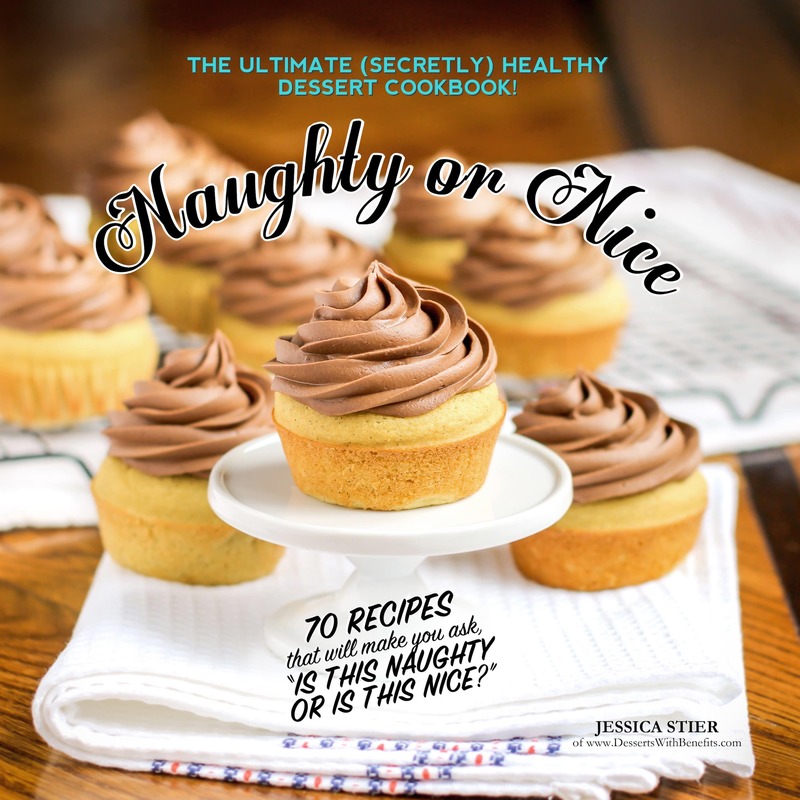 The Naughty or Nice Cookbook averages out to just 46¢ per recipe. Anyways, I’m hoping that this post clarified things a little. To wrap it up, I just wanted to thank everyone for their input and understanding. I’d also like to thank all of the DWB supporters out there who got their own copies of The DIY Protein Bars Cookbook and The Naughty or Nice Cookbook! You rock! You provide so much FREE content in this blog, others would charge for accessing certain pages! Stick to your guns!! Your book customers will thank you and look forward to any new releases, knowing that others are not receiving the same for free. Thank you so much for your support Kelly! I know removing a few of my recipes from the blog has been quite controversial, but it’s what makes the most logical sense. Love your recipes! Definitely want to try this one out soon as well as your healthy key lime pie!